Al final me decido a seguir la exploración. Subo las escaleras y me encuentro en lo que debió ser el ostentoso salón de la casa. Stunning. The reflections on the door of the left, the exposure, the reflections on the wall, the composition, the framing. Thank you very much! 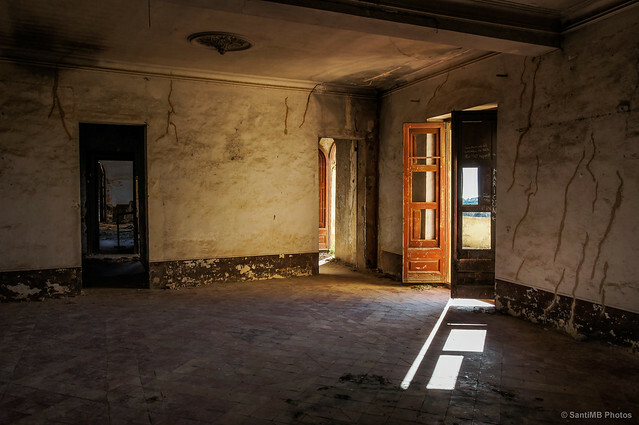 The photography of abandoned places forces you to play with the lights and spaces.